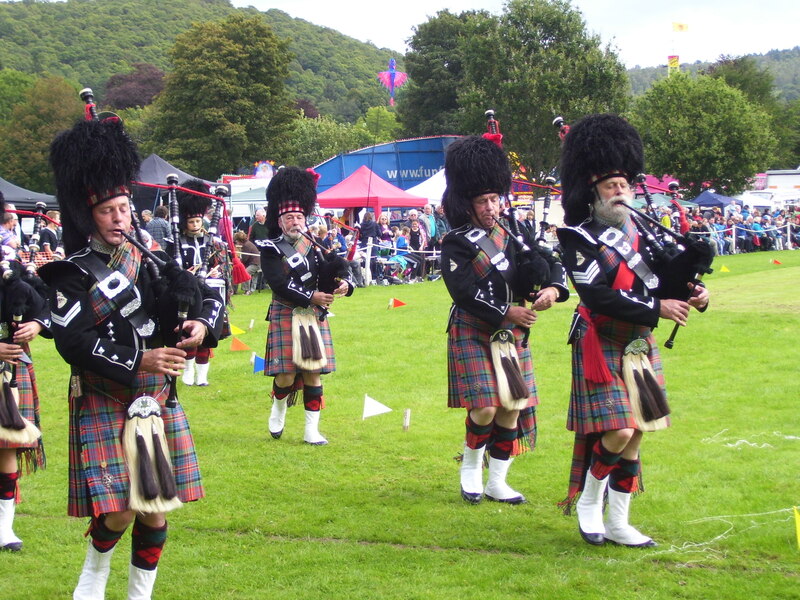 Heartfelt thanks to all of you who sent good wishes our way for a break in the weather on Saturday for our local Highland Games. Whether it was because of all those positive vibes, or because the rain gods have been concentrating on the eastern seaboard of North America over the past few days, we did – miraculously – have a mostly sunny afternoon. Not a soggy kilt in sight. and although they had to stand to attention for the Chieftain’s Salute through the one downpour of the afternoon, the rain was brief enough not to trouble anyone. This is a small gathering: there is no agricultural section, which means no cattle or sheep being shown and no tent full of prize-winning scones and chutneys and gardens-on-trays, as we had in the local show where I grew up. The emphasis at these Games is on the field. 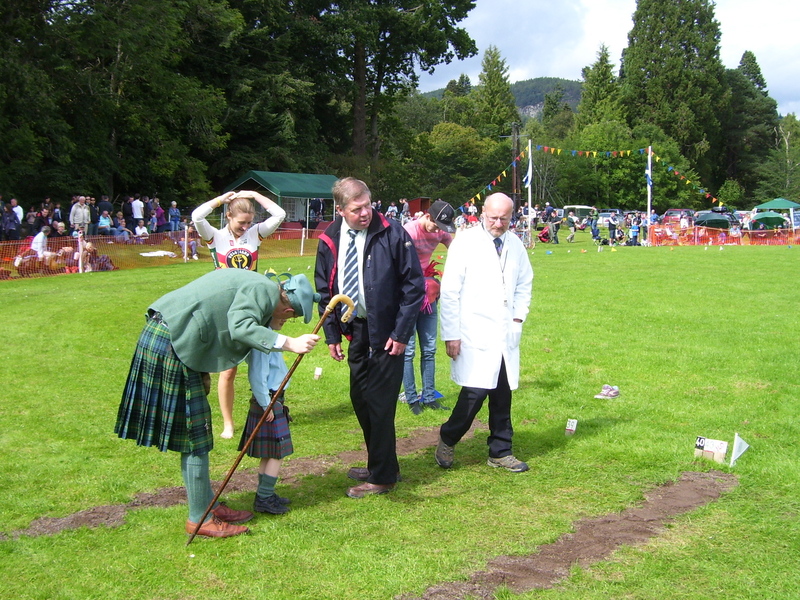 Piping competitions go on at the corners of the field, and highland dancing takes place on a specially erected platform. There are cycle races, a hill run, sprints and heavyweight events like putting the stone and tossing the caber. 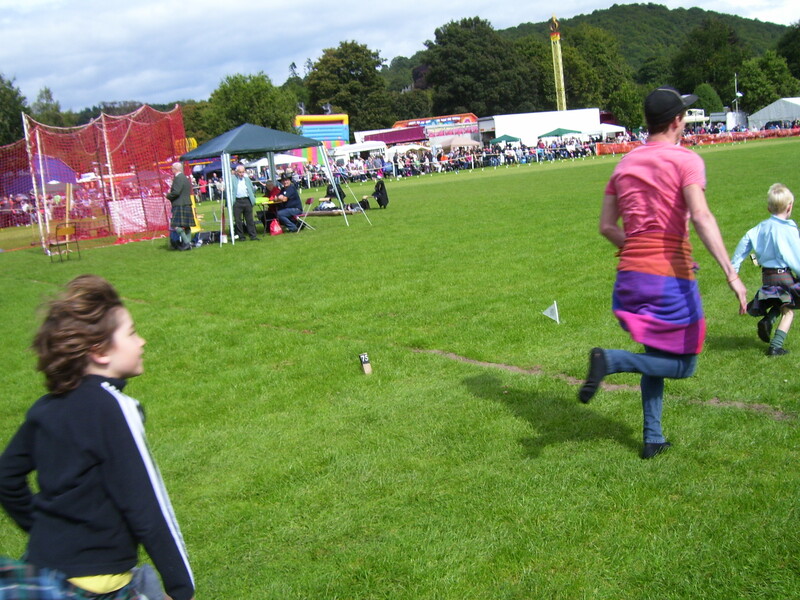 This year, to my delight, our younger son chose to enter the Kiltie Dash. Whereas the other races are pretty serious and attract competitors from athletics clubs all over Scotland, this short sprint is open to anyone in a kilt. Only about half a dozen souls had the gumption to enter, two of whom were wearing nasty picnic rugs wrapped sarong-style over their jeans. (Outrageous travesty of our national costume! They should have been disqualified, in my opinion.) Our wee boy was the smallest entrant by far – especially once some of the heavyweight competitors joined in – and needed a last minute pep-talk from Daddy to keep up his courage. For a moment the commentator got rather excited as he saw my husband climbing into the ring. Was the Chieftain of the Games entering the Kiltie Dash? No such luck, only his wee son. He soon managed to restore son’s natural bubbling enthusiasm. 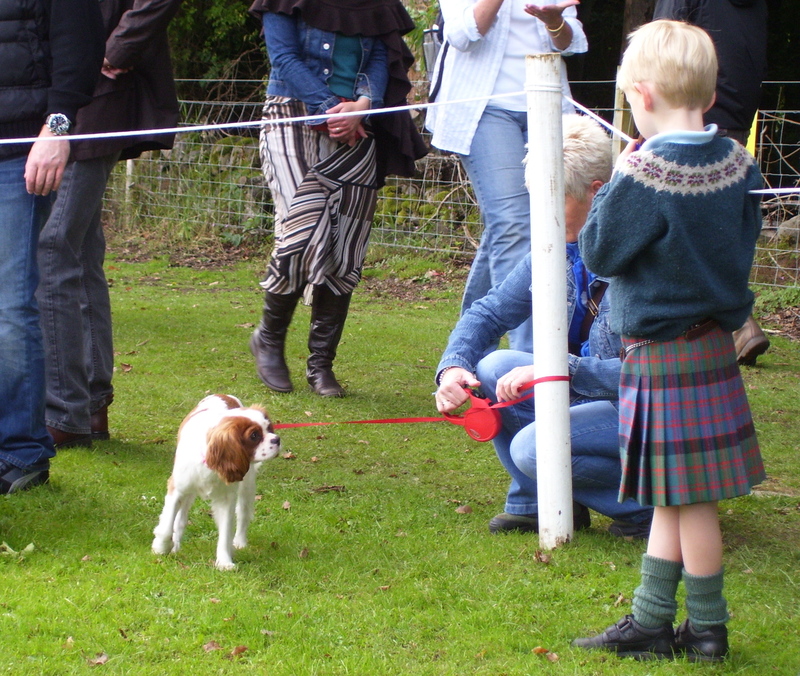 With the help of a generous handicap, our wee boy ran a very creditable race and, more to the point, he enjoyed it. By the way, if you should be wondering about the cromach of the title of this post, my husband is holding one in the picture below as he unwraps son’s prize of a sweetie. A cromach is a shepherd’s crook, with a curved handle often carved from horn. Many are works of great craftsmanship. 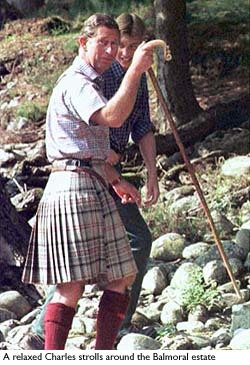 They are still used by shepherds but are also sometimes carried as a sort of informal baton of office by the high heid-yins (people in authority) at Highland Games, or just used by men out walking. My husband was given his for his twenty-first birthday, and treasures it. After the excitement of the Kiltie Dash, it was time to let off steam at the funfair. 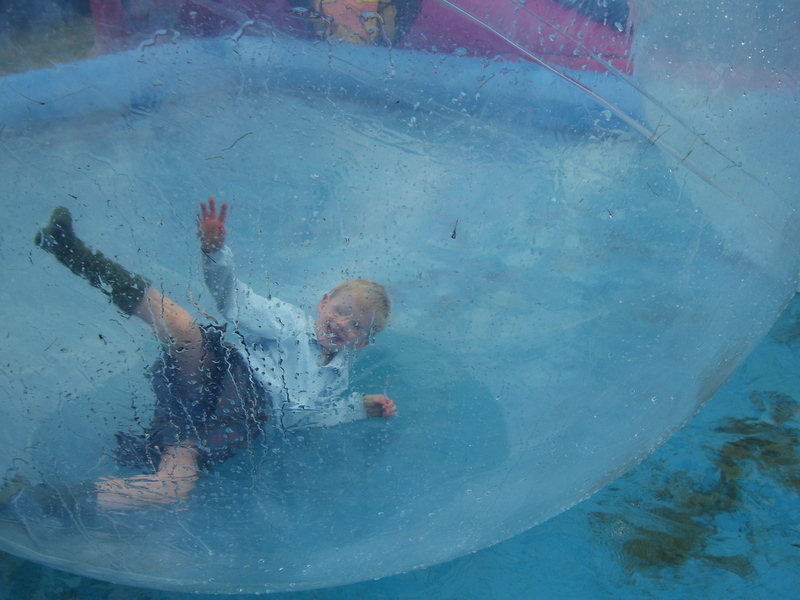 Water-zorbing looks the most tremendous fun, and is especially silly in a kilt. Several members of our extended family joined us, and we met plenty of friends and acquaintances as we pottered about the fair and the side stalls in the course of the afternoon. All in all, it was another very enjoyable, sociable – and sunny! – Games. You might enjoy Immortal memories: just an ordinary Burns’ Night. 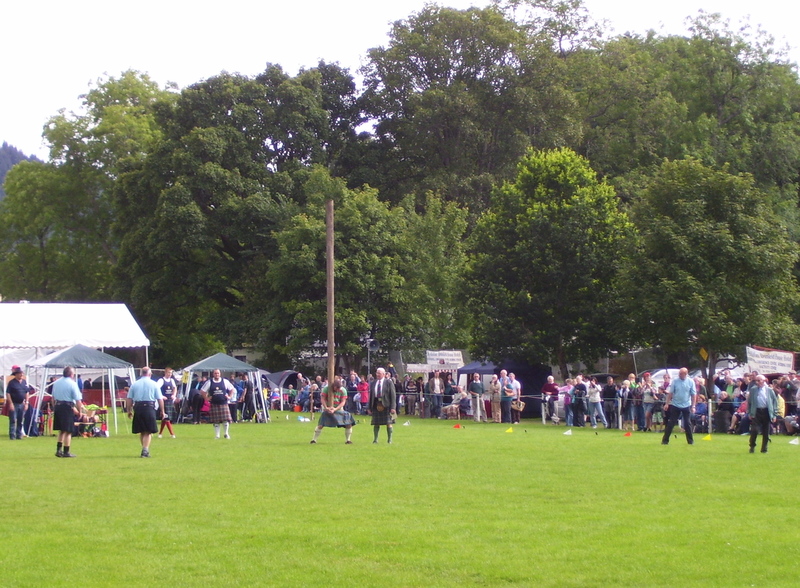 How wonderful to hear that your local Highland Games continue their tradition of being (relatively) rain-free! And how wonderful to read about the day’s festivities, as well. 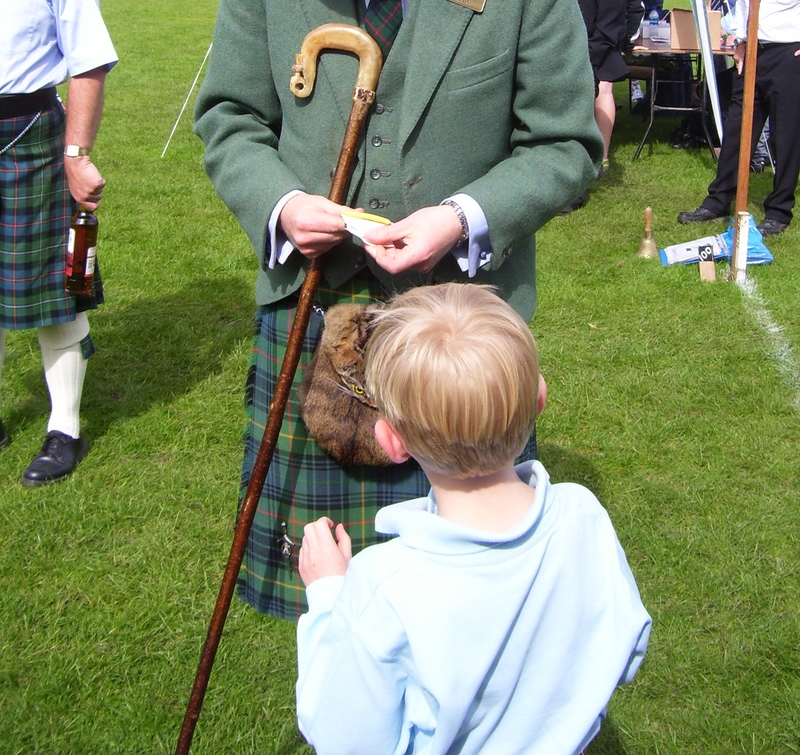 (Although I agree with you that the Kiltie Dash ought to be open only to people wearing a proper kilt. What do the people be thinkin’, wearin’ a nasty picnic rug?) Thanks for bringing some smiles, and a bit of melancholy for my ancestral home. The odd thing is pure Sassenachs like me can also get sentimental over a kilt and a piper. No idea why since my bloodline is English, Irish and probably (courtesy of a Powell great grandfather) a splash of Welsh. Everyone looks dry and crisp, they must have shed the rain quickly. Thanks for the bit about the cromach; for some reason I don’t recall ever reading anything about it. It looks like a very successful day for everyone, especially the wee boy. I guess that cromachs are not generally big news. Its easy to take our own traditions for granted, isn’t it? Sometimes I have to stand back and think about what would need explaining to a visitor – but I enjoy that. And yes, thank you, it was indeed a lovely day. Great fun! It looks as if your son is about to be awarded a bottle of the hard stuff – probably the last thing he would appreciate! None of this silly ‘rain stopped play’ nonsense as in cricket. Yes, his parents were hoping that he might get the whisky, but that went to the adult winner instead, for some reason! Hear hear re. the cricket. Big softies that they are. Boots: have you looked at Duo on North Castle Street? They do boots with different calf-widths so you can get a really good fit, and I know that they have some classic designs. Otherwise, up our way, House of Bruar at Blair Atholl might be worth a try – for a price. Lovely account–thank you. Hoping for the whisky? Shame on you! My ticket stub won me a pantomime prize at the age of 11 and I watched with fury as my grandparents sampled the goods–yes–a bottle of whisky. Aw, yes, that must have been tough. He was very chuffed with his sticky sweetie, so I couldn’t begrudge him it. Well done that wee boy! Shame he only won a sticky sweetie – but maybe at that age, those things are important….it’s so long ago I can’t remember 😉 Now… what on EARTH is water zorbing?? I shall have to google this…. Oh, we weren’t expecting any prize at all, so he was delighted. I think it’s great that there are still races run for fun rather than prize money – long may it last! Zorbing is the most daft thing, and looks like huge fun. Imagine being a tadpole inside a piece of frogspawn, or a hamster inside a ball. You are inside a giant inflatable ball. Proper zorbing is bouncing down hills and so on: here, the balls were rolling around in a sort of paddling pool, so no danger of bumps and bruises, just a few minutes of priceless hilarity. I think…cromachs are mentioned in the song “Road To the Isles”…but am not convinced enough to post the lyrics. What a great post. I loved learned about the water zorbing, sounds like a lot of fun but I think I would have to try the “kiddie pool” to start with and then maybe try out the hill! I just went to my first Highlands Games here in Canada and had such a great time. 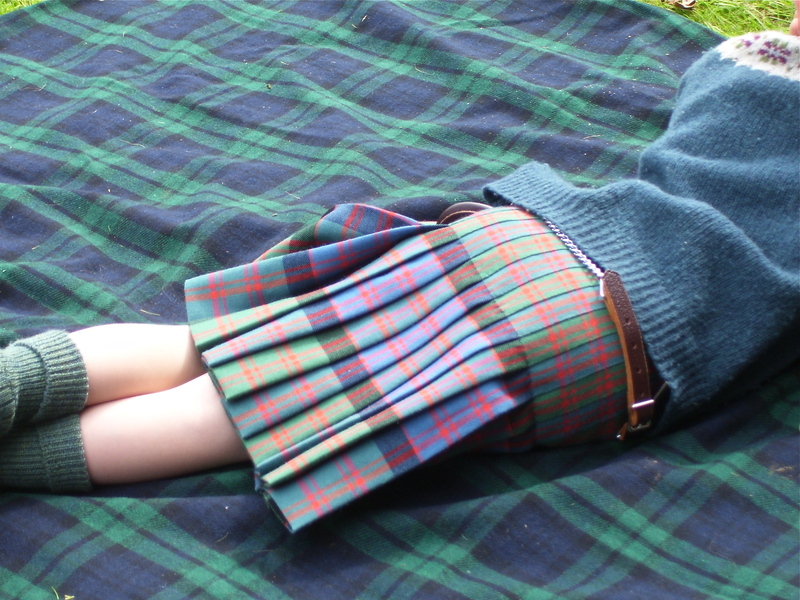 It was so exciting seeing everyone in their kilts. I must admit though the original reason was to meet Diana Gabaldon, author of the Outlander series, but once I was there I was hooked. The strong man events were amazing. Hello! Fantastic article! would your husband ever consider selling his Scottish wildcat sporran?